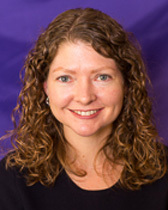 Laurel Harbridge’s teaching and research focuses on partisan conflict and the lack of bipartisan agreement in American politics. Her research examines why Congressional parties prioritize partisan conflict, focusing on both institutional changes and public preferences for bipartisanship. Her recent research explores how congressional parties prioritize partisan conflict over bipartisan agreement, how this approach to legislating affects the responsiveness of members to their constituents and policy formation. Her 2015 book, Is Bipartisanship Dead?, explores how party leaders in the House of Representatives changed from prioritizing legislation with bipartisan agreement in the 1970s to prioritizing legislation with partisan disagreement by the 1990s. She earned her PhD at Stanford University in 2009 and her work has been published in the American Journal of Political Science, Legislative Studies Quarterly, and American Politics Research, among others. This research has been supported by the National Science Foundation Time Sharing Experiments in the Social Sciences (TESS) and the Dirksen Congressional Center. She is actively engaged with the Institute for Policy Research, the Political Parties Working Group, and the American Politics Workshop. "Who is Punished? Conditions Affecting Voter Evaluations of Legislators who Do Not Compromise" (with Nichole M. Bauer and Yanna Krupnikov). Forthcoming. Political Behavior. "Is Bipartisanship Dead? Policy Agreement and Agenda-Setting in the House of Representatives" New York: Cambridge University Press. Harbridge, Laurel. 2015. "Legislative Institutions as a Source of Party Leaders’ Influence.” (with Sarah E. Anderson and Daniel M. Butler). 2016. Legislative Studies Quarterly. 41(3): 605-631. “How Partisan Conflict in Congress Affects Public Opinion: Strategies, Outcomes, and Issue Differences.” (with D.J. Flynn). 2016. American Politics Research. 44(5): 875-902. “Public Preferences for Bipartisanship in the Policymaking Process” (with Neil Malhotra and Brian F. Harrison). 2014. 39(3): Legislative Studies Quarterly. 39(3): 327-55. “The Policy Consequences of Motivated Information Processing among the Partisan Elite” (with Sarah Anderson). 2014. American Politics Research. 42(4): 700-728. “Electoral Incentives and Partisan Conflict in Congress: Evidence from Survey Experiments” (with Neil Malhotra). 2011. American Journal of Political Science. 55(3): 494-510. “Incrementalism in Appropriations: Small Aggregation, Big Changes” (with Sarah Anderson). 2010. Public Administration Review. 70(3): 464-474.